HENDERSON COUNTY, Tenn. – After receiving a complaint letter from a prominent atheist group, the mayor of a Tennessee county says he has no plans to remove a Bible verse inscription from his county’s courthouse and hopes instead to add an additional verse to the building’s walls. 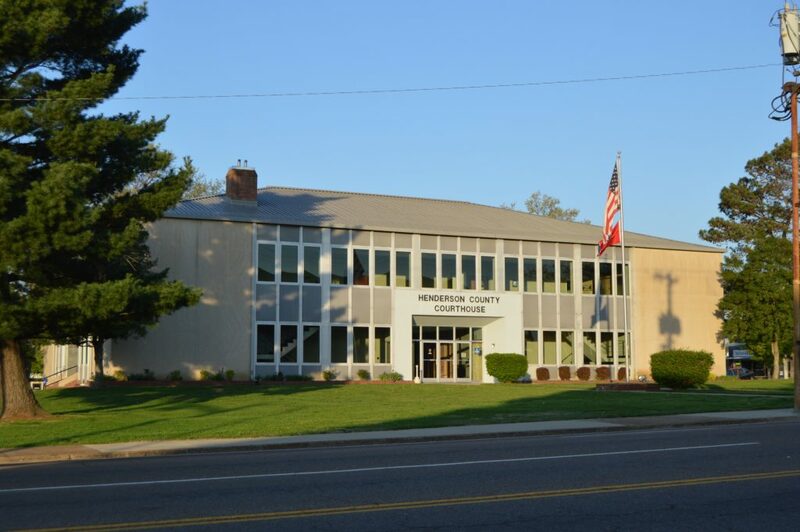 On June 30, attorney Rebecca Markert with the Wisconsin-based Freedom From Religion Foundation (FFRF) mailed a letter to Dan Hughes, mayor of Henderson County in Tennessee. She said that a “concerned local resident” told FFRF about a biblical inscription on the cornerstone of the county courthouse. However, Hughes said he was surprised that anyone would take issue with the Bible verse and advised that he has no plans to remove the inscription, which has reportedly been on the courthouse cornerstone for more than 50 years. Local residents interviewed by WBBJ said they were glad their mayor didn’t capitulate to the atheist group’s demands. “It’s a big Bible Belt around here, and you know, if they don’t like it, they don’t have to read it,” Henderson County resident Adam Pinte opined. “Well, it’s on the back of your dollar bill too, but nobody complains when they spend their money,” Pinte added. FFRF released a statement on Wednesday saying they were “alarmed” by the mayor’s decision to retain the biblical engraving and “shocked by such an explicit endorsement of Christianity.” FFRF co-presidents Annie Laurie Gaylor and Dan Barker mailed a response letter to Hughes, urging him to reconsider his decision. However, Danny Sorrell, pastor of Campbell Street Church of Christ in Jackson, Tennessee, said biblical principles played an important role in the founding of the U.S., so biblical inscriptions on government buildings are constitutional. “Our country was founded on a Christian heritage, and there’s so much that we can gain from and learn from our past and learn from God’s word,” Sorrell told WBBJ.